Generally, the best passwords are always complicated, memorable and long. The practice to change your password from time to time is widespread. It is recommended to change your Gmail password every two months if you want to prevent the break-in to your mail account. Try to change your password immediately in case you suspect your account is in danger of unauthorized access. It is also obvious that no one password is fully secure. No matter how good the password is and how frequently it is updated, no one in protected against key loggers on your PC. If you want to increase your Gmail security, required phone verification can be added to your password. Click the gear in your navigation bar and select “Settings” in the menu. Open Accounts category and click on the Change password link. It is situated under Change account settings. Then type your current password under corresponding field. In addition, give the answer to your secret question of Google account. Enter your new password twice in the “New password” and “Confirm ne password” respectively. Please create easy to remember and at the same time secure password. It will help you to prevent unwanted access to your account if you often change your password. Save the results clicking on the “Save” button. It is a perfect practice to frequently change the password. What is to be done in case if the password is lost or forgotten? Gmail knows the password, but not you! Validation process can allow you to set a new Gmail password and restore the access to your account. First of all make sure that you have another email address related to your account. Or make sure your Gmail account has been not used by you for 5 days. There is “Can’t access your account?” link on the Gmail log-in page. Please follow the link and enter full Gmail email address in the “Email address” field. Then click the “Continue” button. In the case a secondary email address was specified for recovery you have to make sure that the email address desired is selected. Then select the “Get a password reset link at my recovery email” point in the “Choose how to get back into your account” field. Next click the “Continue” button. Enter your secondary account and open the “Google Password Assistance message” there. Then follow the “To initiate the password reset process for your …Google Account” link. In the case you have specify a security question in order to recover Gmail password, select “Answer my security question” in the “Choose how to get back into your account” field and answer your security question. In the case a phone number was set up for account recovery select “Get a verification code on my phone” point in the “Choose how to get back into your account” field and select the desired phone number. Press “Continue” button. Get the SMS text message from Google. The message starts with Your Google verification code that should be typed on the Google Account Recovery page. Enter the code and click “Continue”. Then choose new password and enter it twice in the “New password” and “Re-enter password” fields. “Reset password” button is to be clicked then. 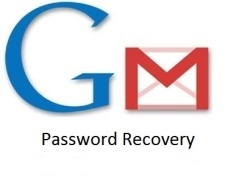 In order to recover the password your Gmail account should not be used for 5 past days. If it was, please let these 5 days to pass. Nevertheless, if you cannot reset your password through security questions or with the help of the secondary email address, firstly be certain that you are attempting to access the right account. The account name can be checked for misspellings. Don’t forget to check if the security question is the same as you entered earlier. You also can contact Google support team and provide them with more detailed info about your account. It can greatly help you to access to your Gmail account. How to build a solid email list. » How to recognize Spam?